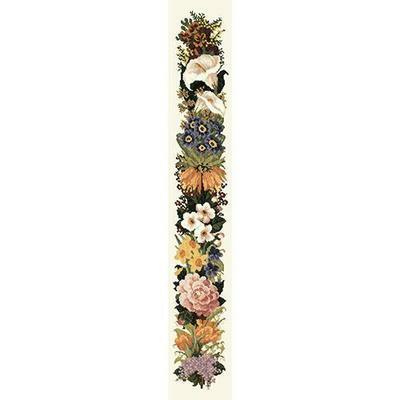 A classic design, the Easter Bell Pull exemplifies classic style with its lovely floral design. 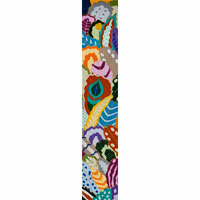 Enjoy this needlepoint bell pull on its own or as a floral border. 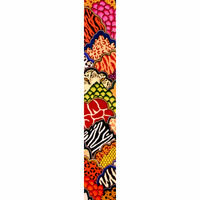 The printed design is 6" x 40" on a 10" x 44" canvas using 10-count interlock canvas. 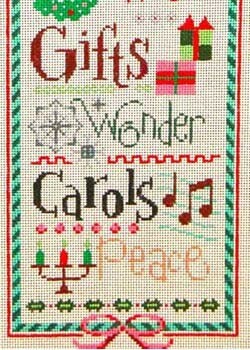 This kit includes needles, chart card, instructions for the Victorian cross stitch and all the thread you need to complete the project. Picture shown on Winter White background.